For the past two years, our Student Senate has organized a school activity for Thanksgiving that is focused on appreciation or gratitude. 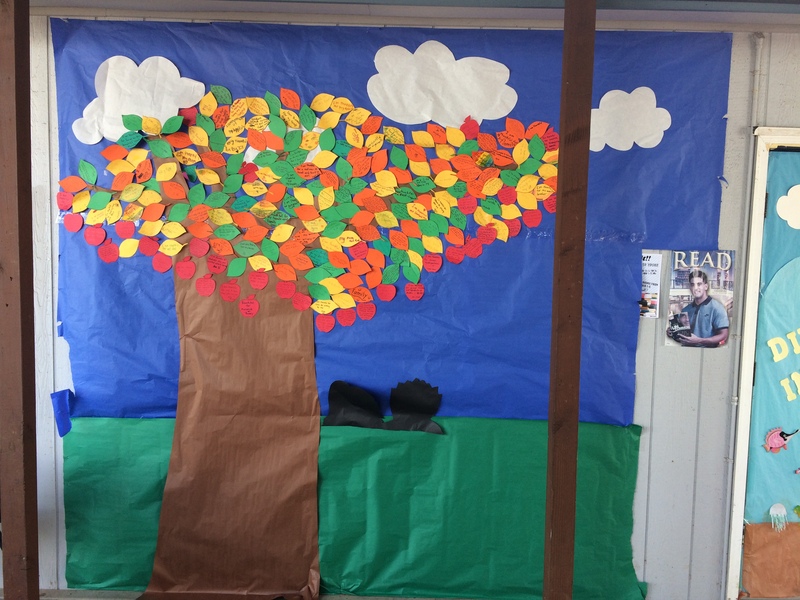 This year, we have an Appreciation Tree display where students and faculty could write on leaves or apples what they are thankful for. As was the case in the past, this year we see many mentions of family, pets and friends (though pets seem to be having a down year!) One theme that seemed new to me this year was the number of students who listed being able to live in this beautiful place and island we get to call home. We also received some more off-the-beaten path answers this year. I saw notes for soccer, crackers, YouTube and Amazon. Sounds good to me! We’re all different and different things bring us joy. Each year though, what I’m most touched by is the number of kids who name acts of kindness (Someone being their friend or Someone sitting by them), as well as the large number who write their appreciation for Assets School. We certainly love working with your children so it’s heartwarming when the faculty gets to read that children, of all ages, use their note to name Assets or a specific teacher. It’s another piece of evidence of how lucky we all are and what a special school community we are a part of. I am appreciative of many things this year. Of course, I’m thankful for getting to work with our wonderful faculty each day, and with such a caring and dedicated parent community. What I’m thinking the most about right now though is, the care that students show for each other. Of particular joy for me is the collaboration between our older and younger students. These collaborations are usually described as older students helping younger ones, but we know that both groups reap tremendous benefits from each other. We’ve done this with middle school students serving as aides or mentors in select enrichment classes, reading buddies, setting up Assembly, and escorting the Kindergarteners to Assembly and then sitting with them. We’ve also had middle school students work with younger students in learning about digital citizenship and coding. Another way we’ve connected the ages is through the high school mentorship program. For those not aware, the high school has this wonderful program that is in many ways the developmentally-appropriate extension of our K-8 enrichment program. 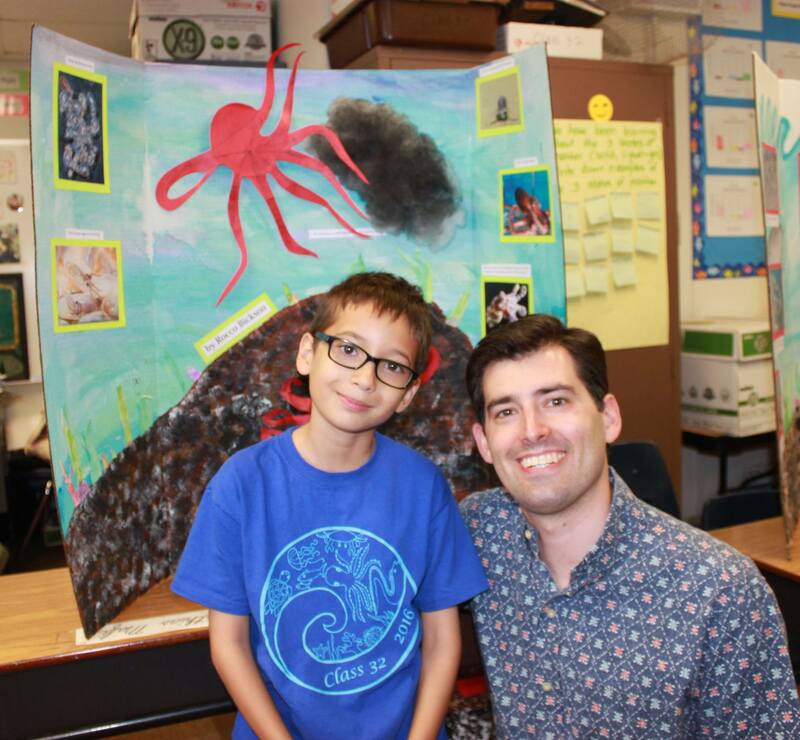 In both programs, students are encouraged to explore their interests and develop their gifts. Luckily for us, we have high school students who have interests that we can host on the K-8 campus. This year, we have high school students volunteering in select classrooms, in our Physical Education department, technology department, marketing department, and health room. 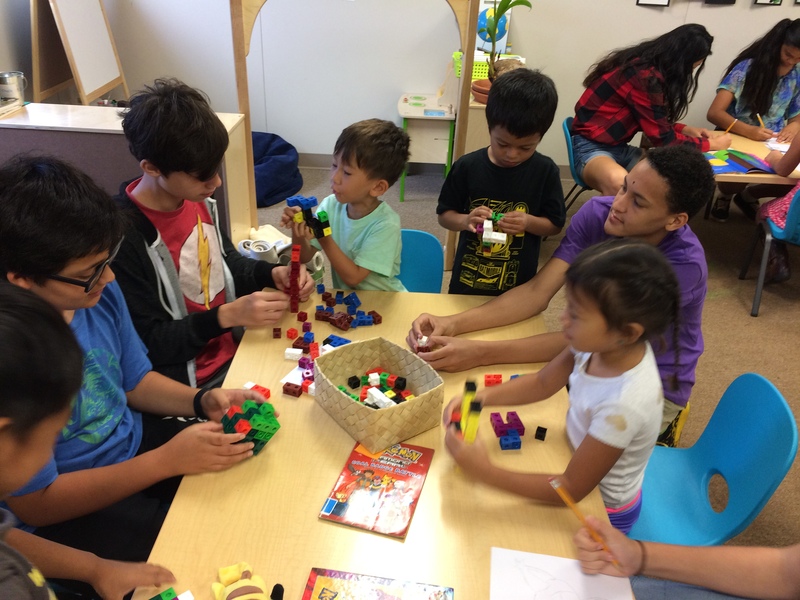 In all of the examples, students are getting important needs met by each other – attention, belonging, learning, fun, competence and socialization. For me, the best part is that students learn that their classmates care about them, not necessarily as same-age peers, but as members of a shared community that they hold dear. That’s community. Caring for one another. I think of this when I see a high school student working in the health room put a band-aid on a 3rd grader who fell. I think of this when a Kindergartener writes their appreciation leaf for a middle school student who reads to them. I think of this when an 8th grader who is rushed by little kids who are excited to see “Mr. Lucas.” And I think of this in the morning when I see older kids and younger kids equally excited to greet each other at the gate or when they get out of the car. This is a special place, and I’m very thankful to be a member. From my family to yours, Happy Thanksgiving everyone. Tags: Assets School, Community, Mentorship, Student Senate, Thanksgiving | Permalink.